Pretreat garments quickly, easily, and consistently, and just where you want in a defined area, at the touch of a button…and save space too. No air required. 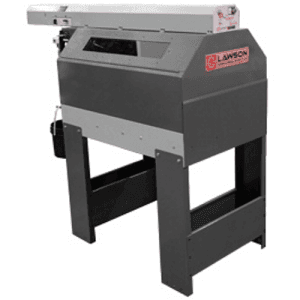 If you are looking for an Automatic Pretreat sprayer, the Lawson Pre-Treat Vertical/Electric unit, an all-electric machine that works with every direct-to-garment printer in the marketplace. 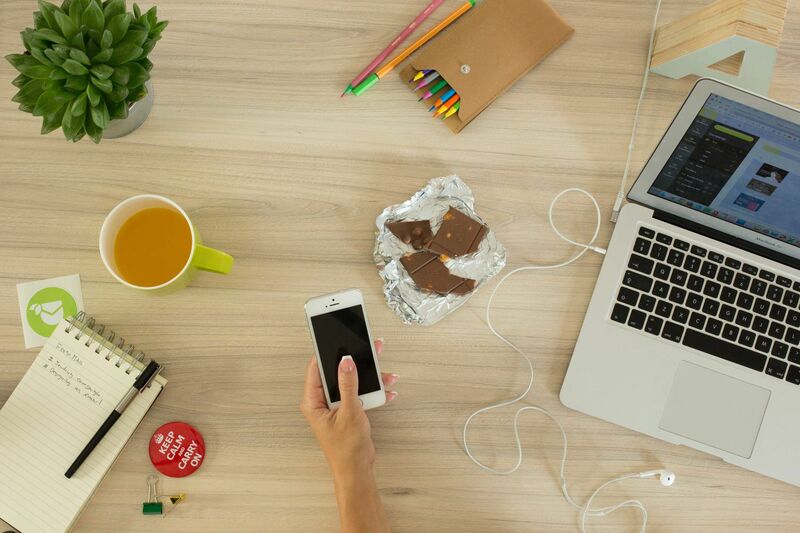 You can use any brand pretreat solution you want. Simply load your shirt on the shirt board, tilt up the platen and press the start button. Within 5 seconds you shirt is sprayed with the precise amount of pretreat solution you desire and in the exact area of the shirt you want. Then lower the platen, and unload your finished shirt. Select from multiple spray zones /areas or make your own template that suits your specific requirements, and spray precisely where you want – there is NO Overspray on your garment! ETL/CE Certified. Pretreat garments quickly, easily and consistently at the touch of a button – with zero “out-spray”. 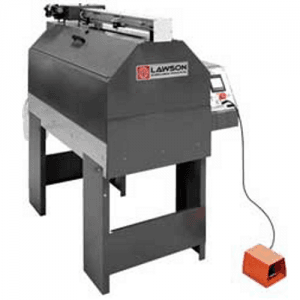 If you are looking for pretreat spray automation, the Lawson Zoom XL features many cost-savings benefits and provides the ultimate in consistent spray applications. This all-air pretreat sprayer works with every direct-to-garment printer’s pretreat solution, and we guarantee your total satisfaction! 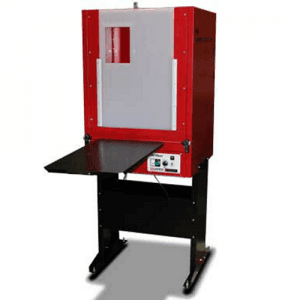 This is a completely self-contained spray chamber that features an automatic slide drawer platen for easy shirt/garment loading. The platen drawer slides out automatically for you to load your shirt on the poly-shirt board, press the start button and then unload your finished shirt in seconds. The Zoom XL is shipped fully assembled, and after you connect your air, will be working right out of the box (air compressor not supplied). Eliminate the learning curve needed to spray by hand to properly pretreat your direct-to-garment items. Now you can achieve consistent and professional results on every garment, every time. With simple air controls, the Zoom XL sprays the perfect amount of pre-treat solution every time, so you get quality prints, day after day, and save on the cost of pretreat solution too. Pretreat four shirts with the Zoom XL in the time it takes to pretreat only one shirt with a Wagner-type hand sprayer. Industrial, state-of-the-art pretreat application sprayer devices. Pretreat garments quickly, easily and consistently at the touch of a button – with zero “out-spray”. 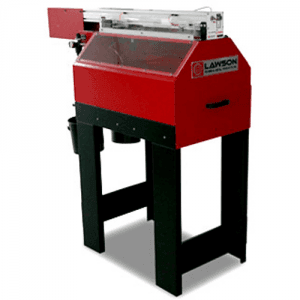 If you are looking for pretreat spray automation, the Lawson Zoom-Pro features many cost-savings benefits and provides the ultimate in consistent spray applications. These pretreat sprayers work with every direct-to-garment printer’s pretreat solution, and we guarantee your total satisfaction!This is a completely self-contained spray chamber that features an automatic slide drawer platen for easy shirt/garment loading. 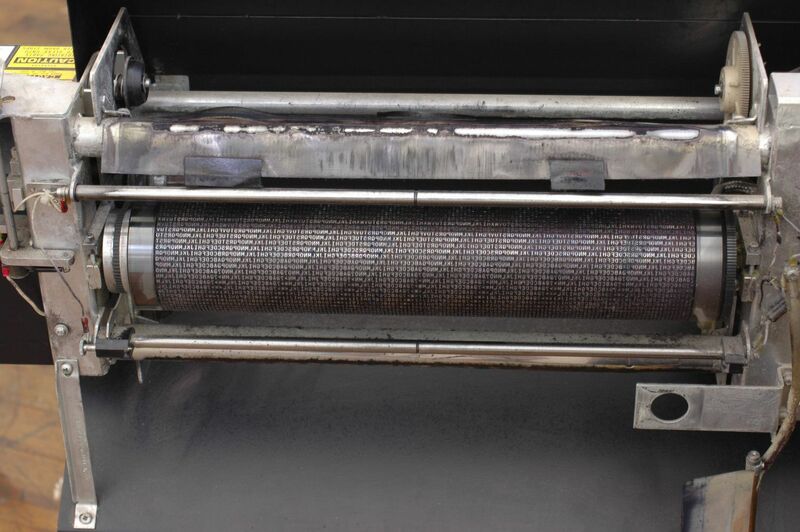 The platen drawer automatically slides out to load your shirt on the poly-shirt board, press the start button (or foot pedal) and then unload your finished shirt in seconds. The Zoom-Pro is shipped fully assembled, ready to plug-in and start working right out of the box (air required, not supplied). Eliminate the learning curve needed to spray by hand to properly pretreat your direct-to-garment items. Now you can achieve consistent and professional results on every garment, every time. With simple air and electric components the Zoom-Pro sprays the perfect amount of pre-treat solution every time, so you get quality prints, day after day, and save on the cost of pretreat solution too. Pretreat four shirts with the Zoom-Pro in the time it takes to pretreat only one shirt with a Wagner-type hand sprayer. FYI: What’s the Difference Between the XL and Pro Models? The Zoom XL uses manually adjusted controls for the spray length start position, spray speeds and purge routines. The Zoom XL is also an All-Air operated sprayer. There are two, 2-quart air-canisters (in the rear) that supply the pretreat solution and distilled water. Convenient Food Pedal is Optional.The Zoom-Pro is specifically designed for the “larger/production” shop, using bulk pretreat solution and bulk distilled water, and is a state-of-the-art feature-rich sprayer. It uses a Touch Screen panel to control, automatically, all the spray parameters and can also integrate with your UPC system (if you so desire). It also uses an Electric Pump for the pretreat solution, so you can simply put the supply feed tube directly in to your bulk container – great for production shops. Likewise, the Zoom-Pro uses a bulk feeding system to your distilled water supply. The Zoom-Pro is specifically designed for the “larger/production” shop, using bulk pretreat solution and bulk distilled water, and is a state-of-the-art feature-rich sprayer. The Zoom-Pro uses a Touch Screen panel to control, automatically, all the spray parameters and can also integrate with your UPC system (if you so desire). The Zoom Pro uses an Electric Pump for the pretreat solution, so you can simply put the supply feed tube directly in to your bulk container – great for production shops. Likewise, the Zoom-Pro uses a bulk feeding system to your distilled water supply.